...[I]n 1940, watching a German film on the invasion of Poland, he received a shock that upended his whole view of things when some German members of the audience began to shout, “Kill them! Kill them!” In that moment he understood that the premise of liberalism, that people are fundamentally good, and therefore perfectible, was a delusion. Very soon he was thinking that only religion could explain and treat the mystery of evil. He began reading religious writers, and made his way back to the Anglican Church of his childhood. At Mount Holyoke, where he taught briefly in 1950, one could track his reading of writers such as Chesterton, Kierkegaard, and Charles Williams by his signatures on the old library cards. I think a great many of us are haunted by the feeling that our society, and by ours I don’t mean just the United States or Europe, but our whole world-wide technological civilisation, whether officially labeled capitalist, socialist, or communist, is going to go smash, and probably deserves to. Everyone today will agree that the world we have fabricated during the last two hundred years is hideous compared with any fabricated in earlier times. And no one, I think, believes anymore in the liberal dogma of Progress; namely, that all change must be for the better. On the contrary, most of us, both old and young, are terrified of what the future may bring. .... To my taste, the most touching passage of these books comes at the end of a talk given for the BBC in 1966, and expresses a cautious hope that people might begin to recover a sense of phenomena as sacramental signs. He then comments that such a development could only be “based on a conviction that in art and in life, to quote Wittgenstein: ‘Ethics and aesthetics are one, and a condition of the world like logic.’” That is the kind of sentence that should be carved in stone in every city center. Incidentally, to judge from the many references to this famous quotation now available online, it appears that, first, no one quotes the whole of it, and, second, no one begins to understand it. If logic is “a condition of the world,” as is mathematics, then there is no escaping the inference that such a condition can only be predicated on what we call mind or intelligence. It follows, too, from Wittgenstein’s linking of ethics, aesthetics, and logic that to act illogically, unethically, and unaesthetically are very dangerous things to do because they deny the nature of things. 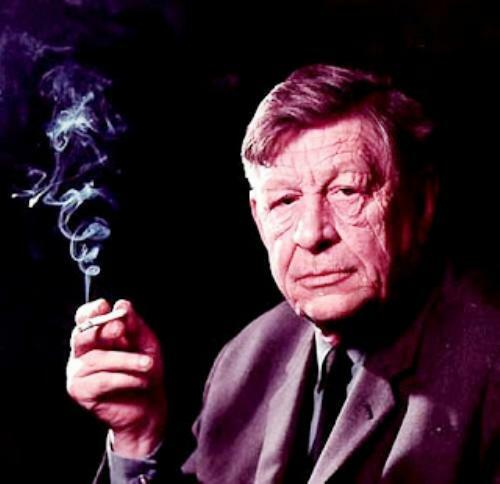 Thank you, Auden.